While most of the skin on my face is dry/dehydrated for some strange reason I suffer with an oily chin. If I'm makeup free it doesn't get particularly oily but as soon as I apply makeup it produces all of the oil and tries to push my makeup off. After years of suffering from acne on my chin my skin is scarred and when I've gone to the effort of trying to cover this it's frustrating when oil starts shifting my makeup around after just a couple of hours. I believe blotting sheets are something that used to be quite popular but now they're quite difficult to come across. I did have a pack of Kleenex ones that I really liked but was aware that they'd been discontinued. I really didn't want to spend very much on them so when somebody told me that essence do blotting sheets I picked some up from my boyfriends local Wilkos when my Kleenex ones came to an end. 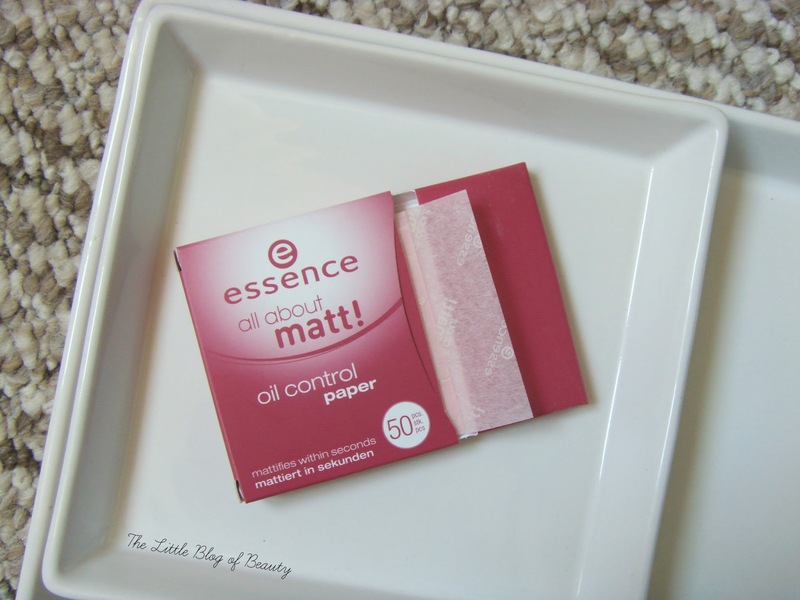 If you're not familiar with blotting sheets/paper the idea is just to gently press the sheet against any oily areas and this lifts the oil away from the skin leaving your makeup in place. They essence sheets come in simple but functional cardboard packaging. You slide out the inside part and the end of the next paper is ready for you to grab. The Kleenex ones that I used to use were purple and similar to tissue paper whereas the essence ones are white and I would say are a little closer to greaseproof paper, but much thinner. Although it's obviously not the most glamorous of products anyway I do prefer the more tissue paper like papers. Apart from the slight differences in the type of paper there isn't really much more to say about these as they just do the job. The paper absorbs the oil leaving a matte finish to your skin and your makeup still in place. There's 50 in the pack so if you use one a day at work to freshen up your makeup they'll last two and a half months and at only £2 a pack they're a bit of a bargain. 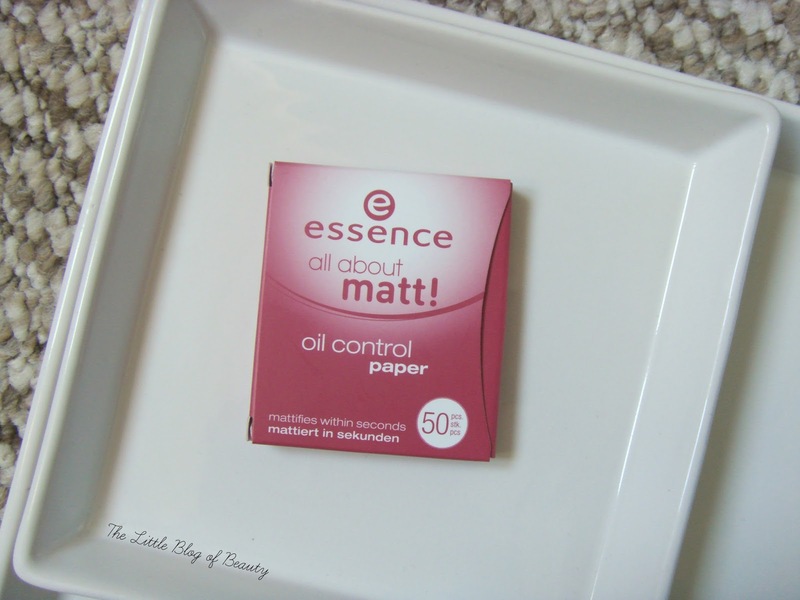 Do you use blotting sheets? Never heard of these before, may have to keep an eye out for these as I suffer from oily skin!